Back in March, I found a bucket of perfectly smooth lake rocks gathering dust in the basement. They were clearly lurking around in hopes that creative inspiration would strike. 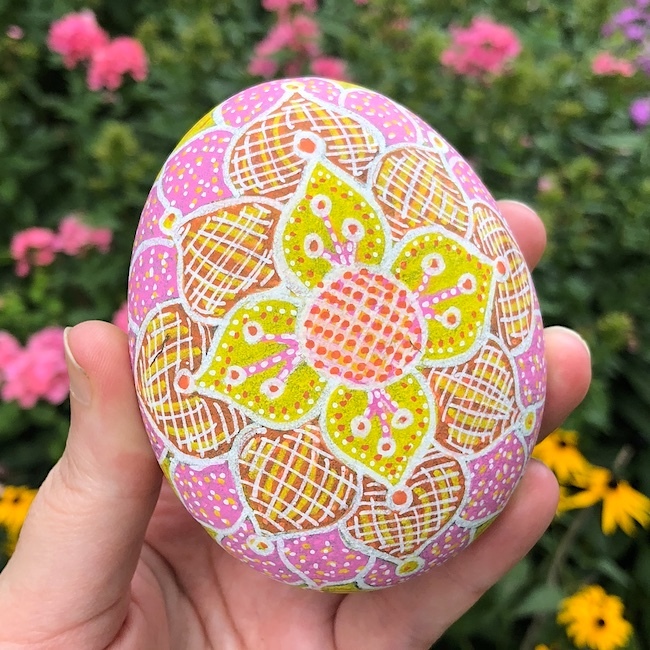 So, I grabbed a rock and a handful of Posca paint markers and did a little doodle - just to see if the markers would work on stone. 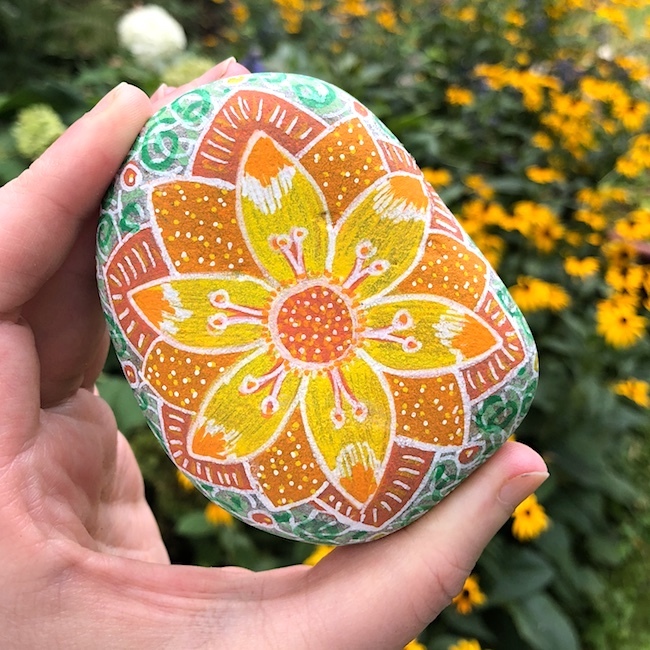 They did, but I wasn't particularly enamoured with the doodle in question, so I tossed the rock into a garden bed and waited for nature to wash the (water-based) paint off. 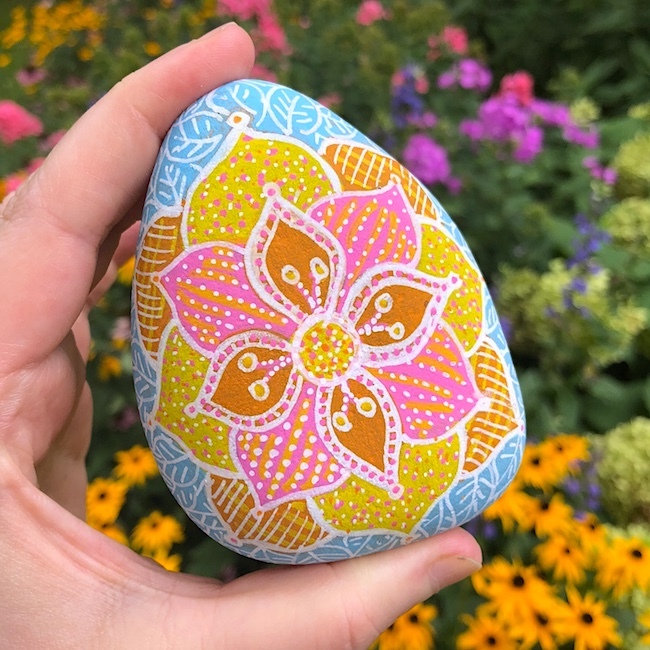 So, I grabbed more markers and more stones and got to work, making colourful freeform mandala-esque rocks to hide in the garden. For more vibrant opaque colours, I recommend going over larger sections with a second layer. A single coat can look a bit too streaky / transparent. 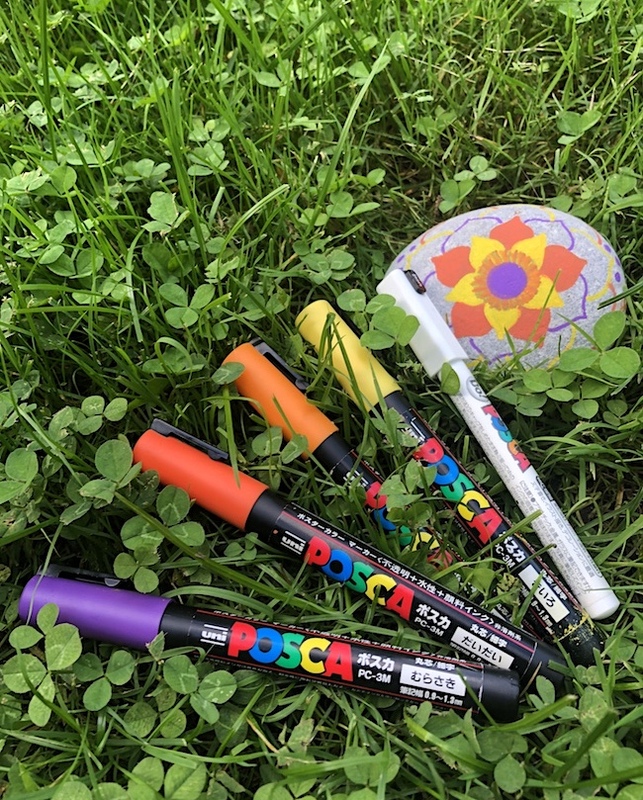 With Poscas, as they are poster paint in marker form, you want to make sure to let the paint dry between coats and before adding details. Don't worry, it's fast - much faster than actually watching paint dry anyway! 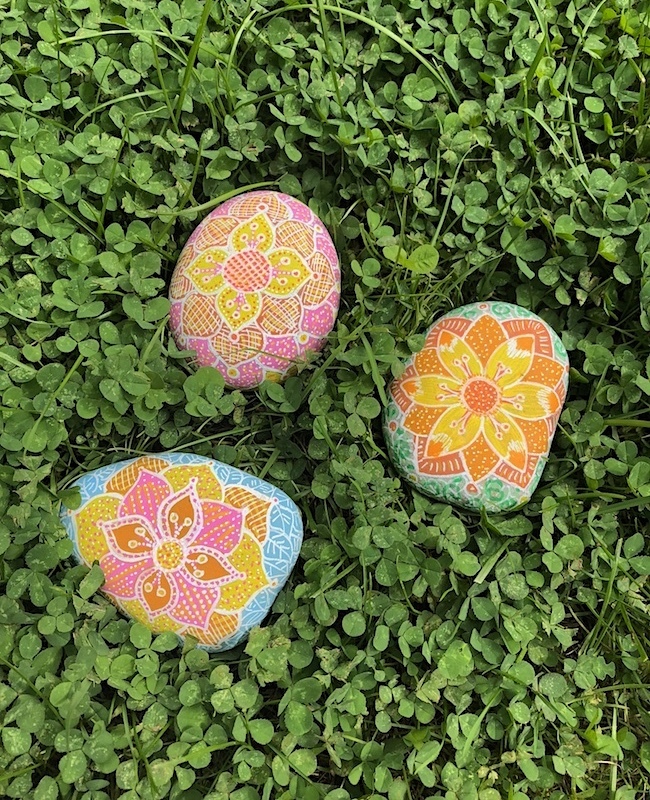 They're a lovely little creative project for whiling away a fair weather day in the garden. Or, you know, for scratching the art itch while you binge watch something on Netflix. I love them. They remind me of Easter eggs - a burst of brightness even on a grey day! 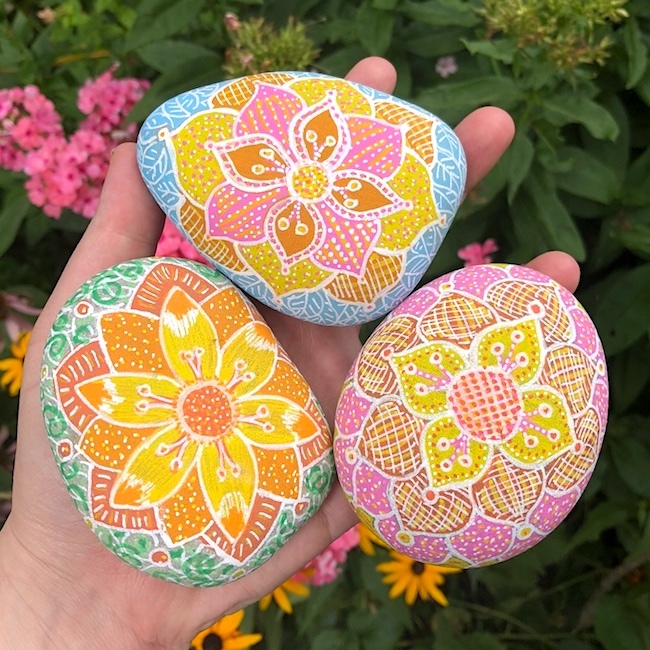 Have you tried any new creative projects lately? I'm always looking for something new to explore!